When one thinks of the Atlanta foodie scene, Southern food immediately comes to mind, and rightfully so. Atlanta is home to some of the best Southern cooking in the country and completely captures the essence of the South. However, that's not all that this vibrant city has to offer as it has everything from BBQ joints to authentic Korean cuisine and classic Italian pizza. 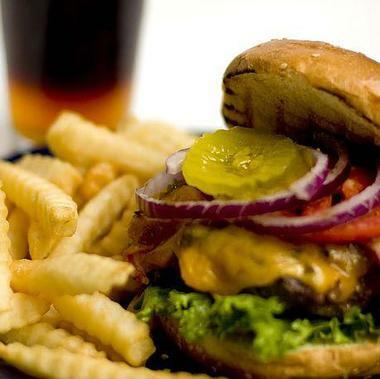 One thing that you definitely have to try are Atlanta's juicy and incredibly mouthwatering burgers. A first-rate steakhouse and bar by Ford Fry, Marcel certainly wouldn't be the first place to come to mind as far as burgers are concerned, but boy do they know how to make a good one. The perfect stop to satisfy any late-night cravings, Marcel is a trip back in time to the days when all the little things about food and time was appreciated. Marcel's Double Stack burger features loosely ground beef patties with a fantastic sear and an abundance of meaty juices. 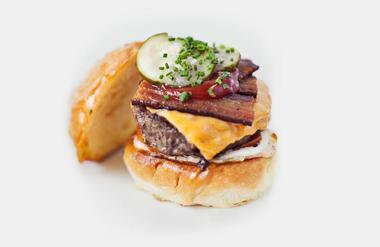 Sitting pretty on a soft and buttery bun, the burger is topped with an extra thick-cut of bacon. This is a burger! Who says burgers have to be a sloppy greasy mess that will leave a trail of heart attacks in their wake? Yeah! Burger certainly doesn't, and this burger joint has quickly earned a reputation for being one of the healthier options in town. 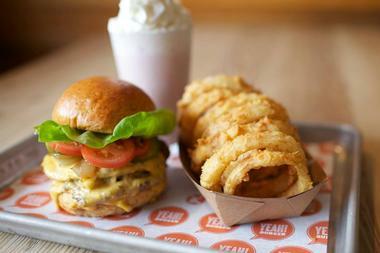 One of Bon Appetit's 10 favorite burger spots, Yeah! Burger is all about natural, organic, local, humane and Earth-friendly dining. One of the best sellers is the All-American with its double stack of grass-fed beef patties, organic American cheese, hydroponic lettuce, pickles, and perfectly caramelized onions. The special sauce is a welcome addition to the burger and packs a mean punch of flavor. Yeah! 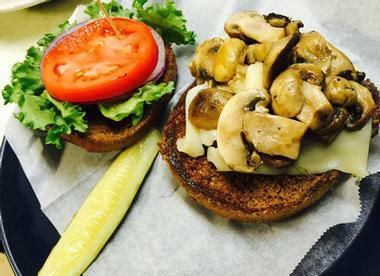 Burger also offers gluten-free, vegetarian, and vegan meal options. Located in the downtown area of Castleberry Hill, Bottle Rocket Fine Food and Beverage offers an eclectic menu of sushi, comfort cocktails, and burgers. 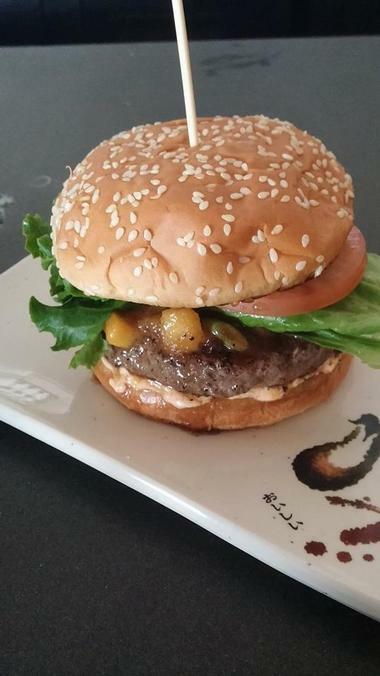 Though Bottle Rocket is typically known for its sushi, having been a Japanese restaurant called Wasabi in the past, their menu features one of the top burgers in Atlanta – the Bottle Rocket Burger. Made with Black Angus beef, the Bottle Rocket Burger is topped with green leaf lettuce, red onions, and tomato. Despite the utter simplicity of the burger, the flavors come together so beautifully that diners may even forget the house fries that come with it. Another popular burger on the menu is the tuna burger, which is made with sushi-grade tuna and held together by panko breadcrumbs and a quail egg. If there's one thing that Farm Burger Buckhead is truly proud about, apart from their stellar burgers of course, it's ethical sourcing. 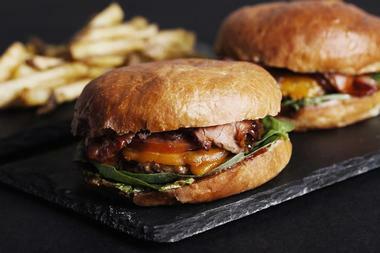 In fact, Farm Burger wants all of its guests to really think about their burgers and where they come from. Their beef patties are made exclusively from grass-fed beef that is dry-aged and freshly ground. Better still, Farm Burger is dedicated to the ethical sourcing of beef, choosing only cattle that was raised and finished on sweet grass, were never fed antibiotics or growth hormones, and were humanely raised and handled. Farm Burgers' high standard of meat selection, in addition to a chef-driven and seasonal menu featuring products from local farms, brings the burger experience to another level of pleasure. The commitment to good food has earned Farm Burger some big-name support and it has featured in CNN, Food & Wine, Bon Appetit, Southern Living, and more. 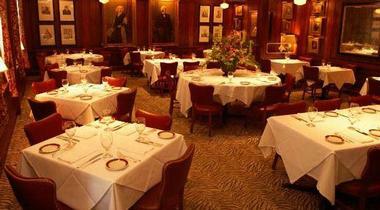 For foodies who are all about making each meal a celebration, this place is definitely for you. 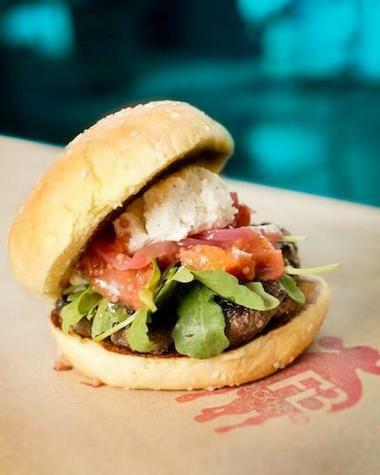 The pride and joy of Top Chef finalist Richard Blais, Flip Burger Boutique is located in Westside Atlanta, an area that is quickly growing into one of the city's culinary neighborhoods. The restaurant is truly an homage to the classic American burger with a remarkably gourmet twist and dozens of permutations. Considering Bone's Restaurants legacy as Atlanta's oldest steakhouse and one of top 10 steakhouses in the country, nobody would immediately think of this place as a burger destination. 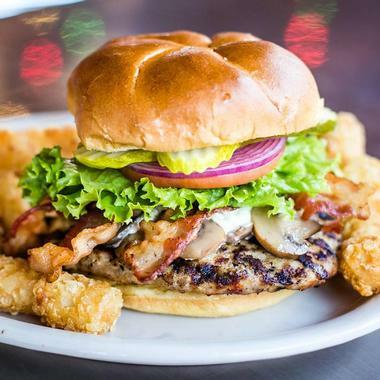 However, the Bone's Burger, with its irresistible side of buttermilk-battered onion rings, packs a punch of flavor in all of its 8-ounce glory. Simple but oh so beefy, the Bone's Burger has a hunk of a patty that is topped with ripe tomato slices, onions, pickles, and Bibb lettuce. The Parker House bun that carries this mammoth of a burger is light and airy, making it an absolute dream to bite into. Though the mix that goes into each patty is a well-kept restaurant secret, order the burger medium rare for the best meal of your life. Home to what is arguably the most famous burger in Atlanta, Holeman and Finch Public House's cheeseburger used to only be available after 10 in the evening with a nightly limit of 24 burgers. Now, the H&F Cheeseburger has become such a phenomenon that Holeman and Finch has opened up additional locations at Ponce City Market and Turner Field and have made it available all day long. 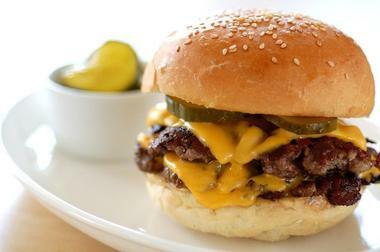 The burger offers two cheese-covered patties consisting of an equal portion of chuck and brisket. The patties are then topped with slivered red onions and bread and butter pickles, all served between a delicious brioche bun and alongside sinfully delicious hand-cut fries. The house-made ketchup and mustard are just the cherry on top of the glorious cake. Imagine a 7.5-ounce patty of beef brisket, shoulder, and other extravagantly fatty cuts grilled to perfection on a flat-top. Now double up on the patties and sit them between a buttered and toasted pain de mie bun, and stuff some lettuce, sweet onions, pickles, special sauce, and American cheese between those layers. Sound good? This is exactly what you're in for at the Illegal Food joint when you ask for The Hank. Run by the husband-and-wife team of Steven Lingenfelter and Laurie Dominguez out of a cramped kitchen inside a small arcade bar, Illegal Food serves up some of the most outrageous burgers in the city. It's hard to imagine such outlandish creations coming out of such a tiny kitchen, but once you've tried one, we guarantee that you'll be coming back for more. Known for simple and sustainable Southern cooking, Miller Union may be one of the fancier restaurants in town but that doesn't mean they don't know how to throw down a darn good burger. The lunch-only grass-fed beef burger is a carnivore's dream with its sesame-seed bun, sharp cheddar, aioli, smoked ketchup, tomato, and lettuce. With Steven Satterfield at the helm of Miller Union, each ingredient that goes into this charmer of a burger is well thought out to create the perfect harmony of toppings in each bite. Truly, Miller Union proves that you don't need to have fancy ingredients to whip up one of the most satisfying and sought-after burgers in town. Run by brilliant Chef Robert Phalen, the One Eared Stag is popular farm-to-table restaurant that sources sustainable produce locally. Cooking with incredible creativity and focus, the One Eared Stag was awarded the best farm-to-table restaurant in Georgia by Travel and Leisure in 2016. With a talented team of chefs and farmers making all the magic in the kitchen possible, the One Eared Stag is home to the addictive and provocative Meatstick. While the burger's name is certainly a point of discussion, the Meatstick consists of 20 percent Iowa-farmed bacon and 80% grass-fed beef from Oregon. The result is a deliciously charred patty with a distinct smoky flavor all wrapped up in a gorgeous bun and topped off with Kraft cheese, shaved onion rings, and pickles. This concoction is enough to make any burger lover go weak at the knees. 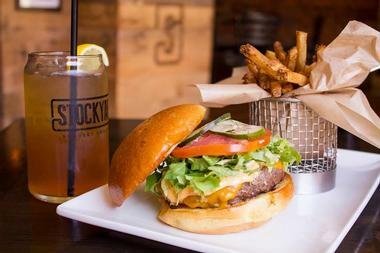 If the name isn't enough of an indication, Stockyard is all about the burger in every permutation you can think of. The menu features a variety of burger patties to choose from, including the beloved Black Angus beef, sushi-grade tuna, pork, and the humble veggie burger. 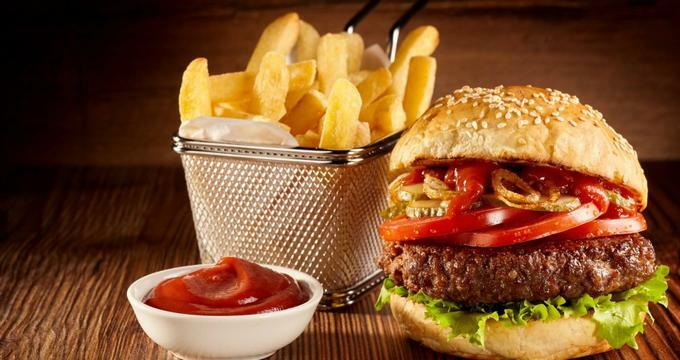 Each kind of burger is made with a combination of love, skill, and passion for the cuisine and is topped with condiments that are all completely made in house. While the burger menu alone is already extensive, Stockyard also offers other treats like hand-tossed salads, mouthwatering appetizers, and irresistible smoked ribs, pork chops, strip steak, and more. For guests who are there in the evening, make sure to take a peek into the drinks menu as Stockyard's full bar boasts over 40 different kinds of whiskey and bourbons in addition to eight rotating craft beers on tap. Whether you're looking to watch The Walking Dead or catch the latest college sports game, the NFL, or Major League baseball, The Albert is the perfect place to watch it all and enjoy food and fun times with friends. The kitchen is run by Chef Jeremy, the creator of their famous Diner Burger. While other burger joints shy away from the use of mustard, the Diner Burger welcomes it with open arms. The Diner Burger starts with two aggressively seasoned thin beef patties that are subsequently layered with melted American cheese, a healthy helping of French mustard, mayo, pickles, and sharp raw onions. Big and burly, this burger definitely leaves a strong impression. 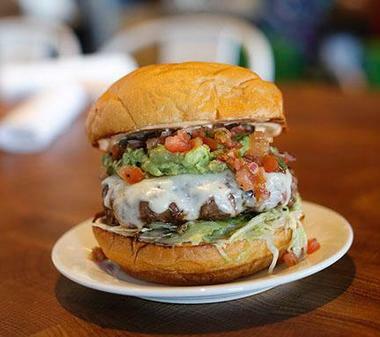 Located in the up-and-coming Westside dining scene of Atlanta, Bocado is best known for having one of the city's favorite double-stack burgers. The Bocado Double Stack comes with two thin beef patties, American cheese, and pickles made in-house between two deliciously squishy buns. While it might sound simple, the flavors in this burger are anything but. Each bite is an explosion of different flavors as the meat patties are made from a blend of grass-fed chuck, short rib, and brisket. The pickles in the burger are enough to convert even the most vocal pickle-haters, being the perfect blend of juicy, tangy, and salty. Still not a believer? Bocado's Double Stack is so good that they even opened up a second location dedicated to it completely. 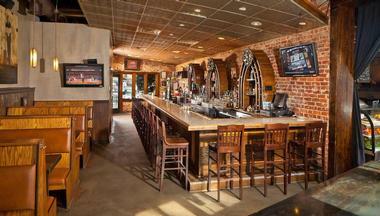 Bada Bings is one of hottest hang-out spots in town, with a passion for bourbon, beer and, you guessed it, burgers. 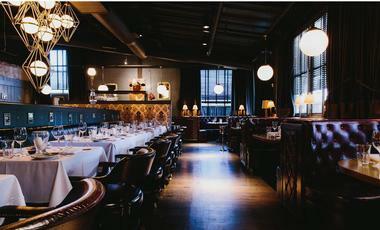 The restaurant is situated in the Old Fourth Ward neighborhood and offers a great view of the Atlanta skyline. Other things that Bada Bings can freely boast about are its free covered parking, 20 beers on tap, some crazy-good mixologists, and some of the best burgers in the whole city. 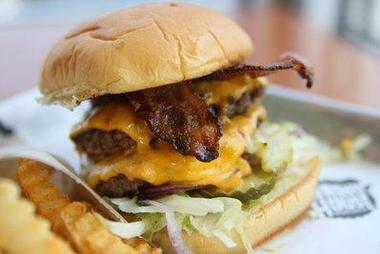 From the bacon-loaded 50/50 Burger to the pimento cheese-smothered Southern Charm, Bada Bings offers some fantastic burger creations for all tastes. For guests with a hankering for a classic burger and a big appetite, go for the monster on the menu – the double bacon cheeseburger. If you've never had a butter-made burger before, you're missing out. Originally from Wisconsin, butter-made burgers are basically a classic American burger that has been infused with fresh hand-churned butter. While other butter-made burger joints in town only butter the bulbs of their burgers, Big Al's sets themselves apart from the rest by completely cooking their burgers in freshly churned butter. Once cooked, the result is an explosive burger with an indescribably delicious taste. Big Al's takes great pride in their burgers, and rightfully so as they are made entirely with Angus beef that is completely free of antibiotics and hormones. The owners are also firm believers in the farm-to-fork mentality and believe that freezing meat causes it to lose flavor and texture. At Big Al's you can rest assured that none of your burgers have ever seen the inside of a freezer and are cooked just the way nature intended – fresh. Burger 21 is a modern, fast, and casual burger restaurant with no fuss and a whole lot of variety. With a hip environment and appealing to all ages, Burger 21 was started with the mission of elevating the run-of-the-mill burger into refined and unique creations to suit every palate. After tons of research and taste-testing hundreds of creations, Burger 21 has curated an incredible menu with tons of burgers to choose from. Some of the menu favorites at Burger 21 include the ahi tuna burger, the Tex-Mex Haystack and, for those looking to keep their calories low, the Skinny Turkey Burger. As with any classic burger joint, Burger 21 also has delicious milkshakes on the menu to pair with their burgers. Signature shakes include the Banana Foster and the Key Lime. Whether you're looking for a great place to take the family or just want a place to hang out after work, the Front Page News Patio Bar and Grill is a great choice. Not only does Front Page News specialize in French Quarter-style cuisine, they've also got some of the best burgers in the entire city of Atlanta with six options on the menu. What diners love above the burgers at Front Page News is that they can take their pick between beef, chicken, or turkey patties for every single burger. Some of the best sellers include the Big Kahuna Burger, which has toppings like fire-grilled pineapple, applewood bacon, sliced avocado, and Swiss cheese, and the Crescent City Burger, which features a tangy honey chipotle glaze, andouille sausage, and pepper jack. One of the best restaurants in Atlanta's Virginia Highlands area, George's has been in business since 1961 and serves up some of the top burgers and bar food in the area. The restaurant features a relaxing vibe that is both hip and a tribute to Atlanta's rich history. The extensive menu of the restaurant features 14 beef burgers and four non-beef burgers. Some of the beef burger variations on offer include the lemon pepper burger, the chili burger, and the jalapeño Dijon burger. Each burger comes with classic toppings like lettuce, tomato, and onions and a side of choice. Meanwhile, non-beef options are the veggie burger, black bean burger as well as lamb and turkey burgers. Established in 2009, Grindhouse Killers quickly rose to fame as the most unique and fun place to go to get some of Atlanta's best burgers. Grindhouse Killers is the brainchild of Alex Brounstein, a fierce advocate of revitalizing Atlanta's historic Sweet Auburn Club Market. After years of hard work, Grindhouse Killers now boasts several branches across Georgia. The Grindhouse Style Burger is easily the bestseller in Grindhouse's repertoire of meaty treats. With a decent char, sweet grilled onions, and a soft and airy bun, this burger easily satisfies. The cherry on top of this meaty cake is the signature Grindhouse sauce and cheese that brings everything together. Unassuming and far from fancy, Ann's Snack Bar doesn't look like much from the outside, but what it lacks in fancy decoration and architecture it makes up for in spades when it comes to a darn good burger. In fact, this tiny eight-seater shack was lauded as the home of America's finest burger by the Wall Street Journal in 2007. Made by the 70-something Miss Ann herself, the most popular dish at Ann's Snack Bar is the Ghetto Burger. Easily three quarters of a pound, the Ghetto Burger consists of a fist-full of ground beef that is unceremoniously smashed onto a searing hot griddle. With a liberal seasoning of salt and pepper on each side and a slice of good old American cheese, the Ghetto Burger is then topped with a ladle-full of Miss Ann's chili on a bed of open-faced buns. All that's left is a topping of deep-fried bacon and ketchup before it's time to inhale this bad boy. First opened in 2010 in the Historic District in downtown Roswell, Lucky's Burger and Brew began as a local watering hole for both human and canine patrons alike. 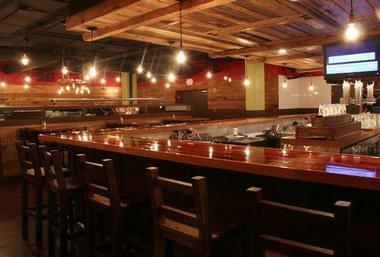 Since then, the restaurant has grown into one of the best restaurants in Georgia with several locations. It now has quite a few locations across Georgia and is one of the best restaurants for dog lovers and burger lovers in town. Lucky's burgers are made fresh and are never frozen, using an 80/20 mix of certified Angus beef. 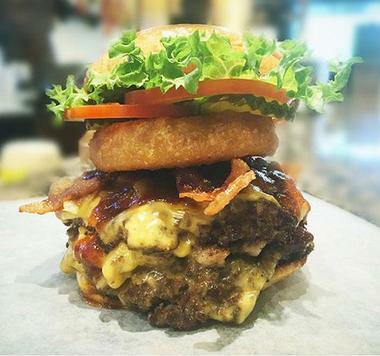 The most famous burger on their menu is a behemoth known as The Grim Reaper. Featuring a 4-pound ground beef patty, 8 slices of American Cheese, half a pound of bacon, 8 fried eggs, a ton of onion rings, and mayo, this 8-pound burger is a show stopper and the greatest food challenge in the state. Undeniably delicious, Mixd Up Burgers is one of Atlanta's most sought-after food trucks. 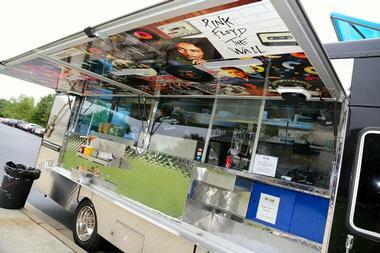 A rock-and-roll-inspired food truck, Mixd Up Burgers dishes up gourmet burgers blended with all kinds of delicious ingredients. With Chef Brett at the helm of all of their creations, Mixd Up Burgers creates a unique dining experience that keeps patrons coming back for more. Among the many crazy creations that the team at Mixd Up Burgers whips up, some of the most notable include The Pile, an Angus cheeseburger topped with cheesy buffalo fries, the Santa Fe, a black bean burger with ancho mayo, avocado puree, and cheese, and the Texan, a classic Angus burger piled high with pulled pork, chipotle ranch slaw, and more. Full of personality and delicious offerings, The Varsity is the largest drive-in in the world and is capable of accommodating 600 cars and over 800 dine-in patrons. The Varsity is busiest on game days for Georgia Tech's football team, with nearly 30,000 people flooding the drive-in to watch the game live and enjoy fantastic food. On average, The Varsity is capable of selling over 2 miles of hotdogs, a ton of onion rings, 5,000 fried pies, 300 gallons of chili, and 2,500 fresh-cut potatoes, all in one day. 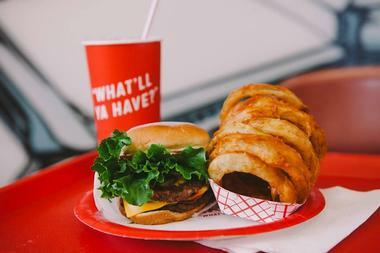 When it comes to burgers, nothing beats the simplicity of The Varsity. Despite have 12 variations of burgers, each one is simple in ingredients but indulgent in flavor. Crowd-pleasers include the double chili cheese burger, the Glorified Burger, and the triple stack bacon cheeseburger. Grilling up some of the best burgers in Atlanta, The Vortex Bar and Grill isn't just one of the city's favorite burger joints, it's an iconic landmark and arguably one the best remnants of the city's pre-Olympic facelift. The Vortex's front door is housed in the mouth of a striking 20-foot-tall skull face that was originally erected in 1996. Despite being one of the oldest burger joints in the city, The Vortex holds its own against the new restaurants popping up with just two things: attitude and a menu of over 20 burger varieties. At the heart of every burger is a half-pound sirloin patty flame-grilled to perfection then topped with everything you could possibly imagine. Go for crazy options like the bacon, fried banana, and peanut butter-topped Fat Elvis, or try a behemoth like the Double Bypass. Situated in a steep, upbeat, and contemporary location with an interior that features rich wood and earthy tones, Zinburger is a stylish and comfortable restaurant that dishes up a mouthwatering array of gourmet burgers, sinfully decadent milkshakes, and refreshing salads and sides. 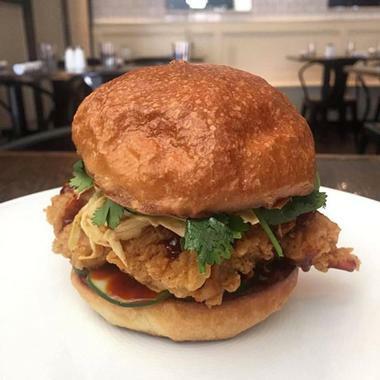 Despite being a relatively new player in Atlanta's burger scene, Zinburger has quickly gained popularity among locals and has been featured on several news programs and television shows locally. Some of the menu's highlights include the Samburger with applewood-smoked bacon, the Kobe Burger with Vermont cheddar and wild mushrooms, and the Zinburger with manchego cheese and zinfandel-braised onions. The restaurant also takes their sides very seriously, as any self-respecting burger joint should, with choices including sweet potato fries with yogurt dressing and zucchini fries with parmesan and ranch.